The Spring update for my Etsy shop will be on March 11 at 7pm EST. 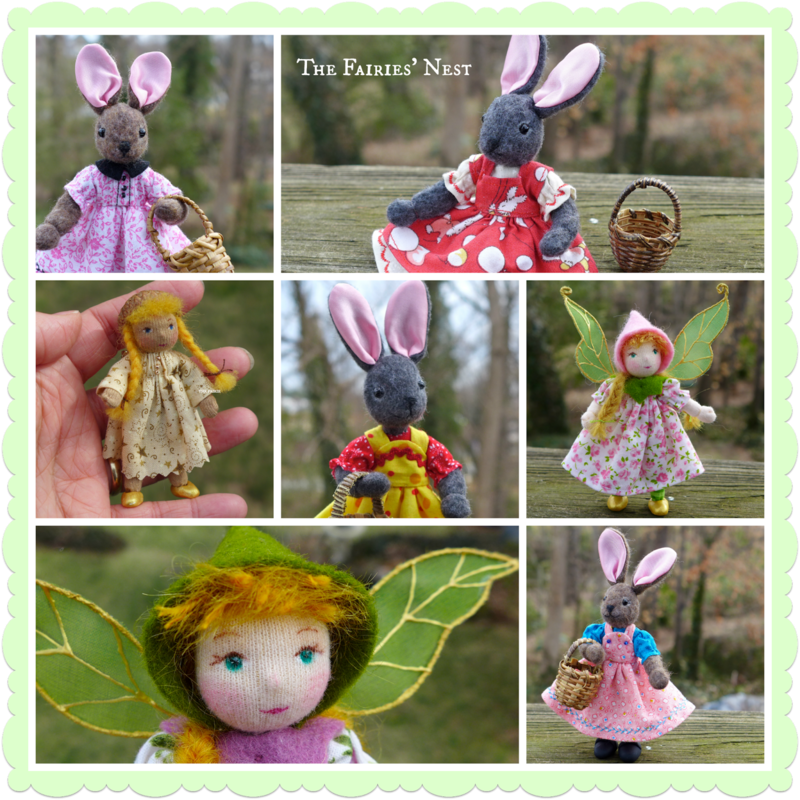 I'll have 4 bunnies, 2 flower pixies, and 2 pin dolls. Here's a peek!